[info headline="ALTERNATIVE OPTION:"]With the JJC/Goja being discontinued, we are offering a 3D printed version. 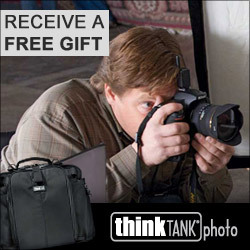 For more information and to purchase, CLICK HERE. 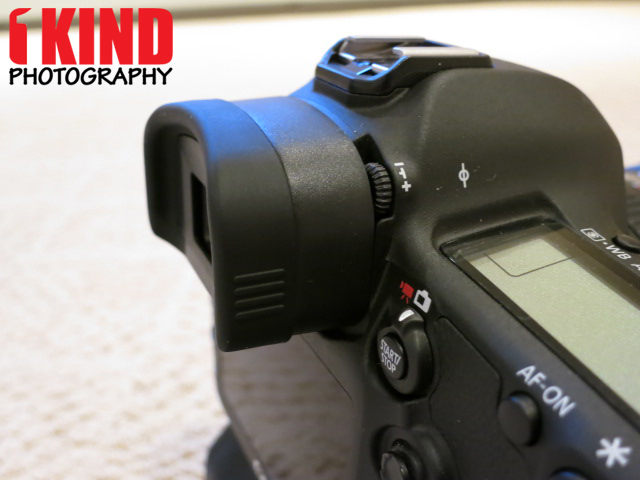 Overview : This eyepiece extender is ideal for everyone who is tired of oil residue on the LCD. 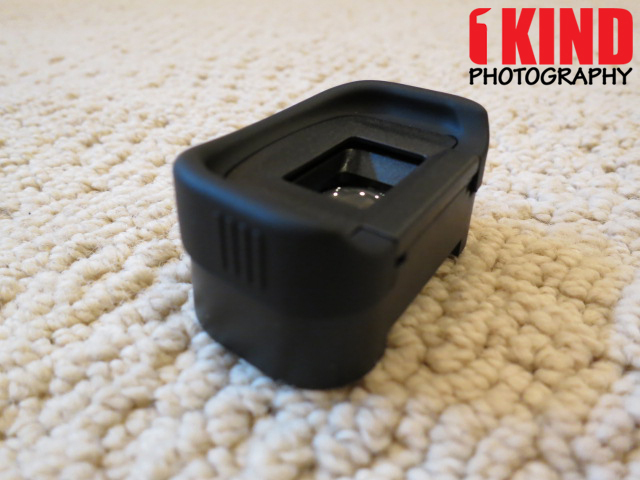 It provides an extension of 15mm so that the nose won't touch the LCD anymore when you look through the viewfinder. 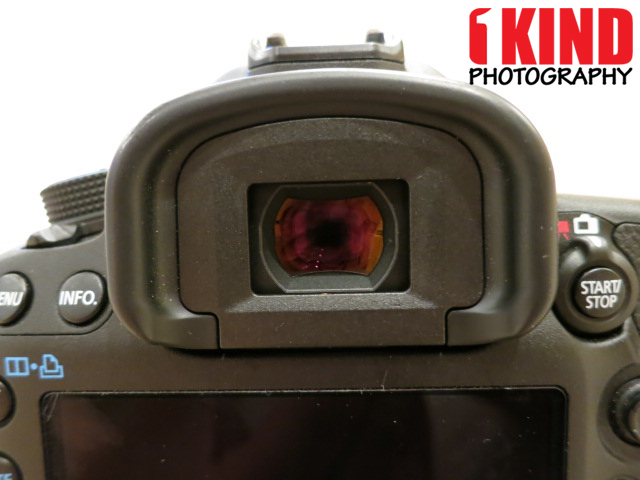 The eyepiece extender reduces the viewfinder magnification by 30%. Particularly suitable for eyeglass wearers. 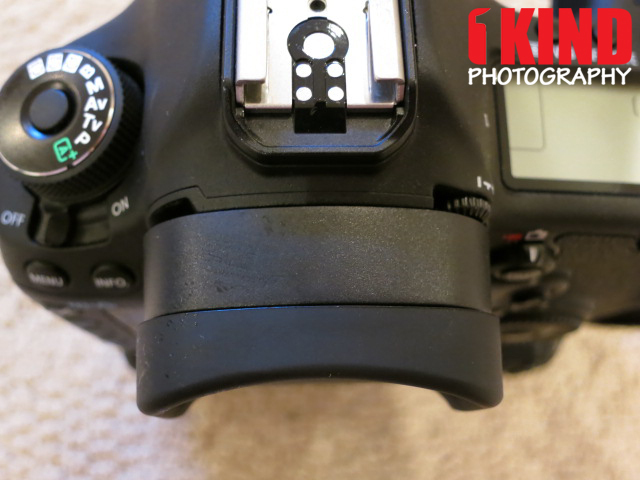 Quality/Usability : When I posted my DIY: Nikon/Canon DSLR Camera DK-17M Magnifiying Eyecup/Eyepiece Mod, it was for my Nikon D7000. 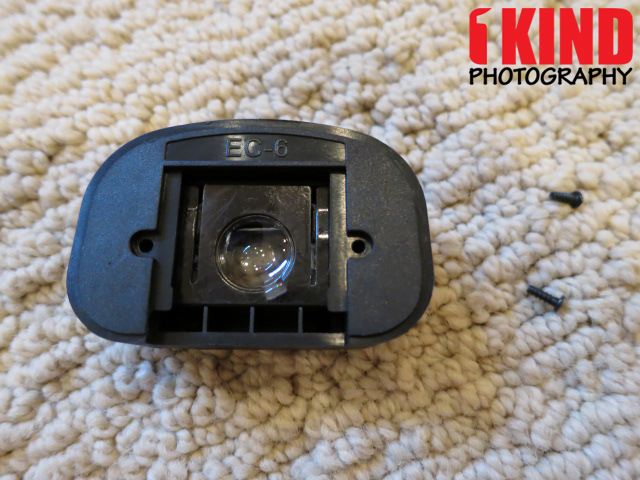 The tutorial also had a non-magnifying mod for those who only wanted the eyecup. 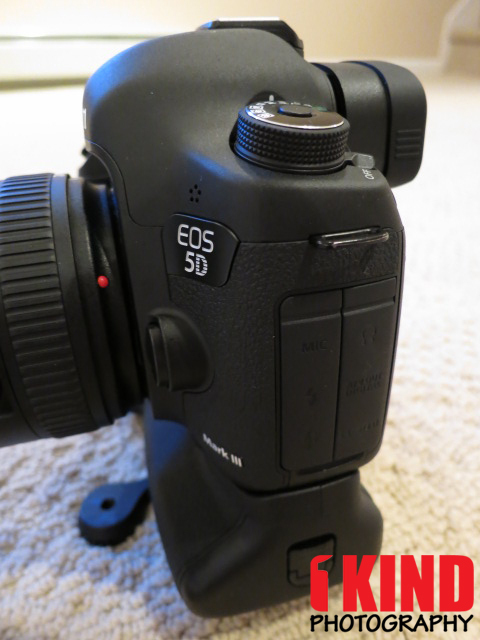 But ever since I switched from D7000 to a Canon 5D Mark III, I wasn't able to find a compatible eyepiece extender (Canon doesn't have round eyecups) mod like the EP-EX15 or EP-EX15II, that would fit the 5D3 and to keep my nose away from the LCD screen. 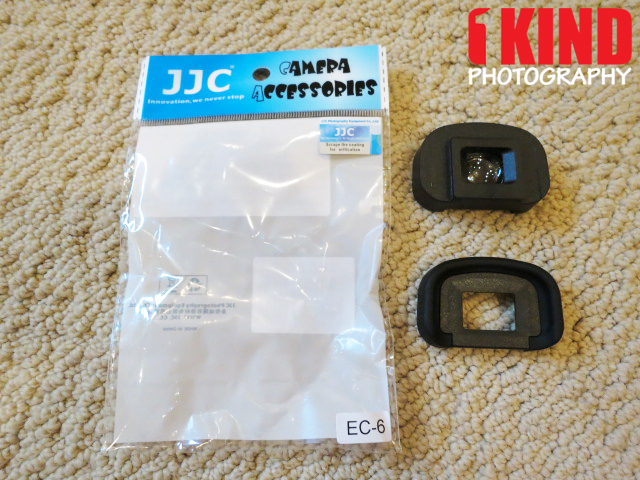 After searching high and low on the internet, I found the JJC EC-6 that would work with cameras such as the EOS 7D, 7D Mark II, 5DS, 5DS R, 5D Mark III, 5D Mark IV, 1D C, 1D Mark III, 1D Mark IV, 1D X, 1D X Mark II and 1Ds Mark III as they all share the same eyepiece. I thought I would give it a try considering it cost under $20. The extender extends the eyepiece 5/8" (15mm) from the camera body. There's nothing much to the back except for 2 screws, couple of plates and magnifying lens. 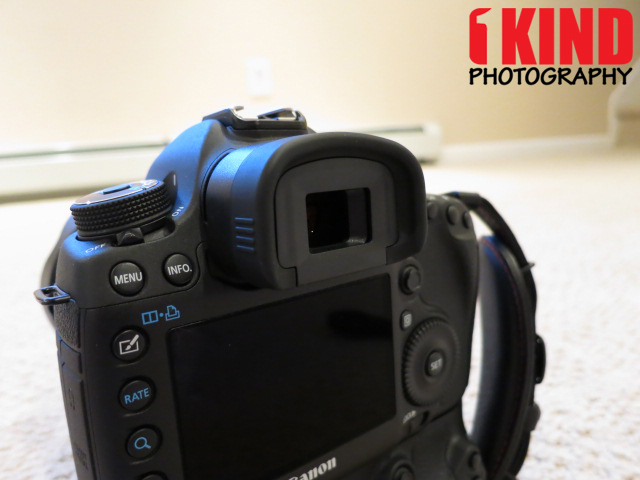 The rubber eyepiece is similar to that of the Canon EG that came with the camera but the EC-6 felt a little cheaper. It is removable but when I tried to insert the OEM Canon Eg eyepiece to the extender base, it wouldn't fit all the way in because of the top right corner protrudes out where as the JJC eyepiece is flat. Speaking of the lens, I highly suggest removing them (there are two). As you can see from the picture above, the center is clear but all around the edges, the image is blurred, and curved. If you remove the glass, there's nothing to distort your image. I will show how to remove the glass below. 1. You'll want to remove the two (2) screws from the back. They are small, so you'll need a small screwdriver like those from an eyeglass repair kit. 2. 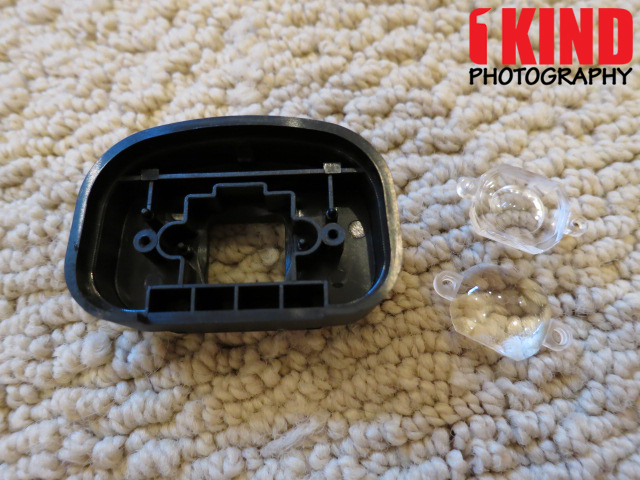 Once you remove the screws, remove the top plastic backplate. This will give you access to the metal plate. 3. 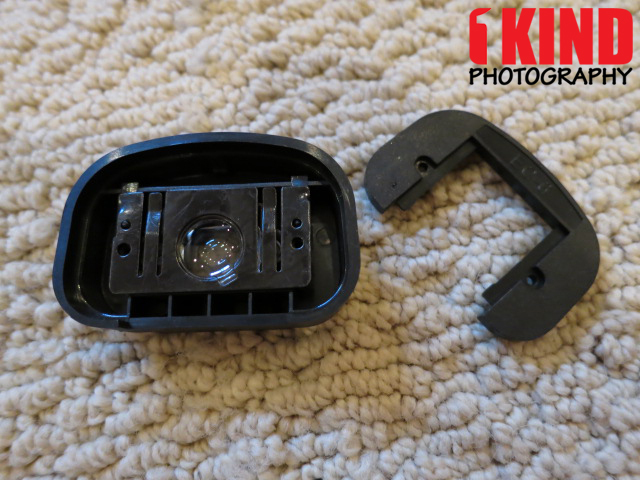 Remove the metal plate and this will give you access to the lenses. 4. Remove the magnifying lenses (there's 2 of them) as they are useless and there is no need for them. 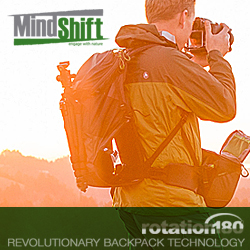 You won't be able to use only one lens as it will just rattle and move around. 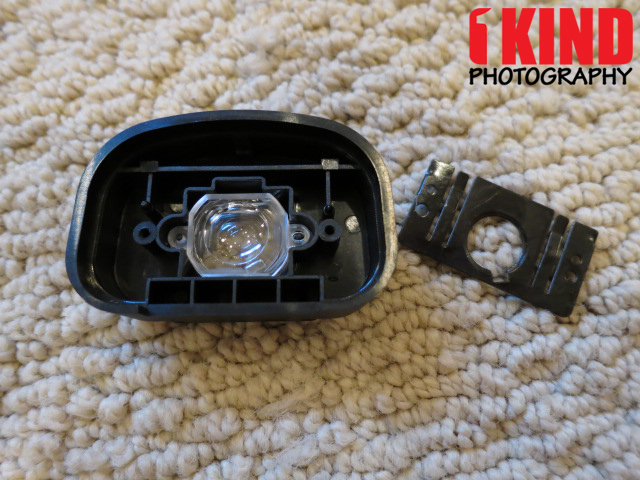 When putting it back together without the lenses, follow the steps in reverse order but in step 3, you can place the metal plate back on if you want or leave it off completely. 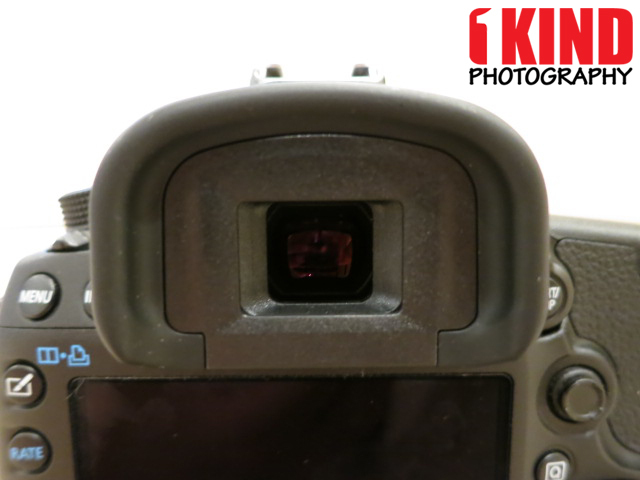 I highly suggest leaving it off as this limits the view in the viewfinder. If you don't want the metal plate, all you have to put back is the plastic backplate and the 2 screws. 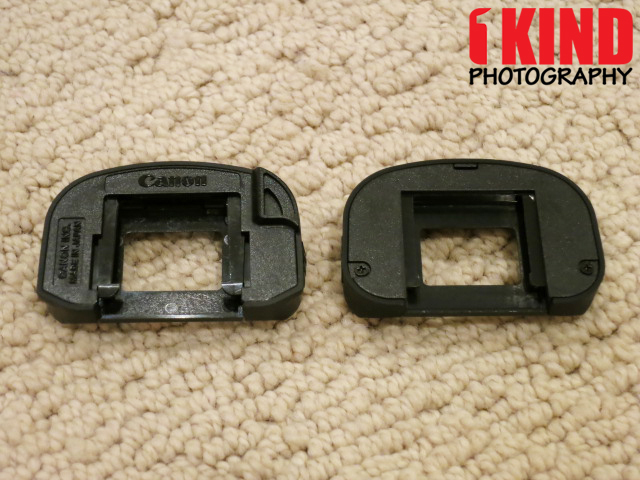 The images on the top is the original OEM Canon eyepiece that came with my Canon 5D Mark III. 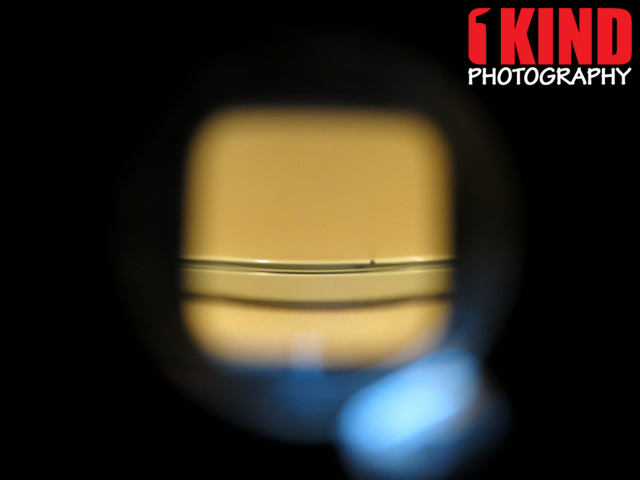 The images underneath is the 5D Mark III with the JJC extender. With the extender on, you do lose some viewing angle where it requires you to adjust your viewing slightly to see the corners. 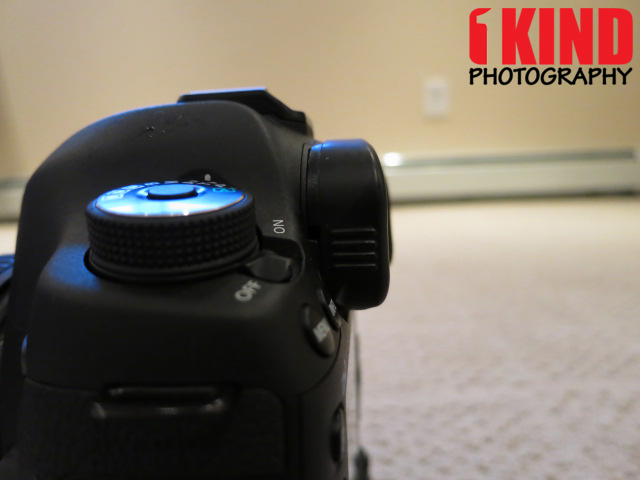 Above is additional angles of the extender on the Canon EOS 5D Mark III camera. The overall look of the JJC EC-6 resembles the EP-EX15. 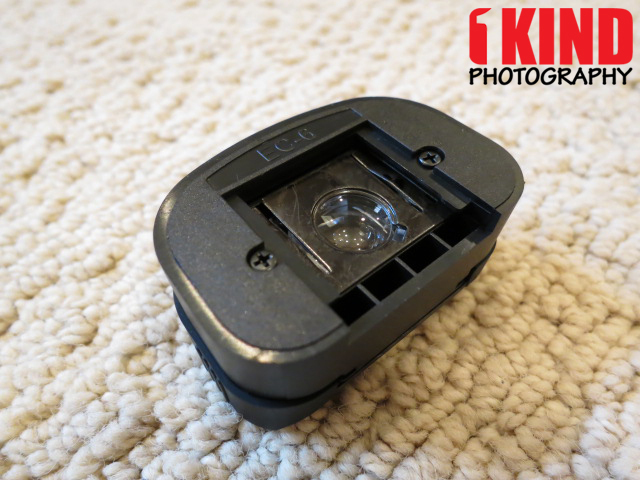 Conclusion : Overall, the JJC Eyecup EC-6 Eyepiece Extender for Canon EOS Cameras fits well on the Canon 5D Mark III and should have no problem fitting onto a 7D, 7D Mark II, 5DS, 5DS R, 5D Mark III, 5D Mark IV, 1D C, 1D Mark III, 1D Mark IV, 1D X, 1D X Mark II or 1Ds Mark III. 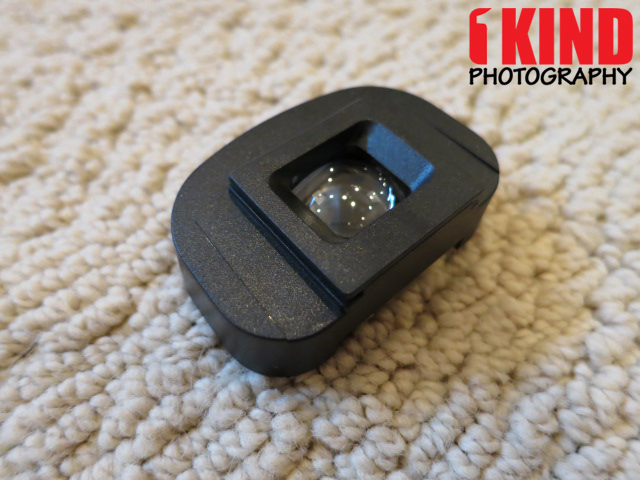 The rubber eyepiece from the JJC felt a little cheap and I was unable to reuse the OEM eyepiece. 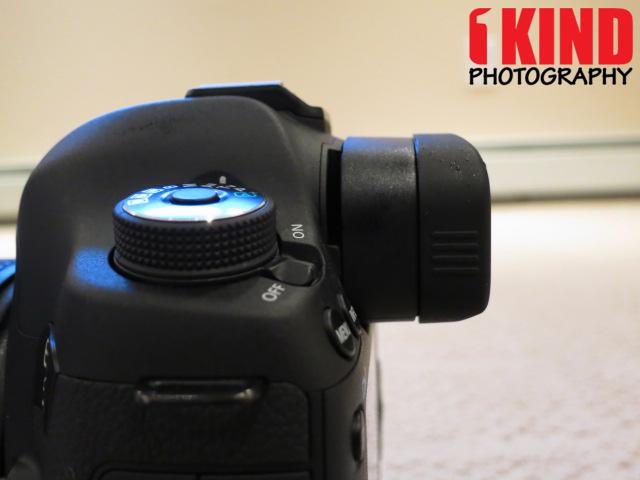 With the included lens, the eyepiece extender is horrible. Once removed, it's perfect. You do lose a little of the viewing angle since you're not further away. So you will need to adjust your eye/head in order to see some of the corners. 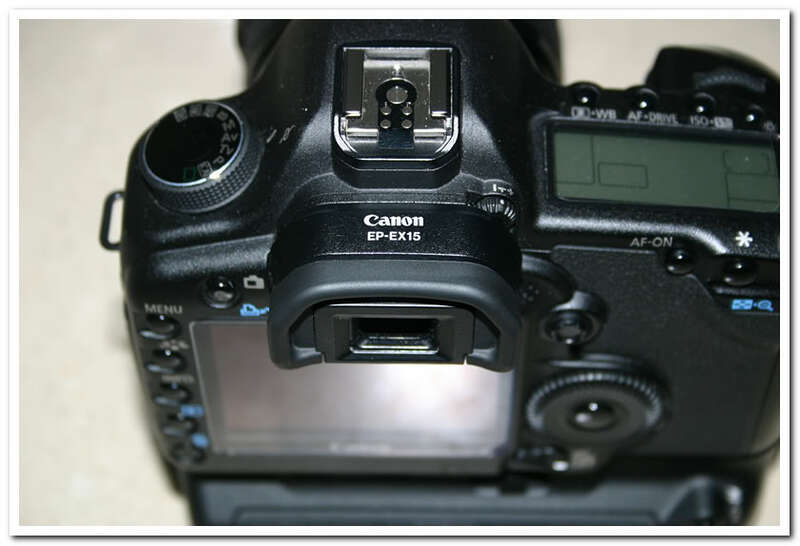 If you own any of the cameras listed above but wear glasses or want to prevent oil on the LCD screen from your face, this is a great option since Canon doesn't sell one.